RETRuly have a huge & constantly changing range of vintage, including Vintage jackets, Vintage dresses, vintage jeans, vintage shirts, vintage handbags, vintage jewelley, vintage home-wares and much more. It was created and is run by a small team of experienced vintage enthusiasts, dedicated to providing the best possible shopping experience for those with a love of vintage. 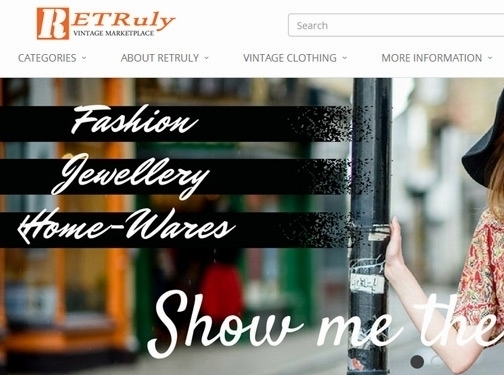 UK (Hemel Hempstead, Herts) based business - established in 2016 - providing a buy/sell platform for those looking to buy and sell vintage fashion items. Website includes e-commerce facilities, testimonials, FAQs, terms and conditions, associations, press mentions, blog, full contact details.